Planning for a trip can be a fun experience. One of the best things to think about when traveling to a new place is where to eat. When you visit us at Churchill Manor in Napa, there is no shortage of places to eat. Since we are so centrally located, there are many downtown Napa restaurants within walking distance, if the weather is nice. Fortunately so many talented chefs have decided to make Napa their home and pass on their amazing gifts for us to enjoy. Not sure what to choose? Let us at Churchill Manor take the guess work out for you and list some of our favorite downtown Napa restaurants. 1. First on our list of downtown Napa restaurants is Torc on Main Street. This menu is a fun twist on American staples. Chef Sean O’Toole has spent his 15 year career perfecting his palate and skills all for you to enjoy. Torc is a great place to meet up with friends for dinner, dessert, or brunch. Have a large group? Check out their private dining. 2. Bring a taste of Italy and its delicious pizza when you choose Velo Pizzeria. They have delectable starters, salads, pizzas, and desserts to choose from. Of course since this is Napa, there are amazing wines to choose from as well that will pair perfectly with your meal. In a rush? Get your meal to go! 3. In the mood for some Far East flair? Head to the beautiful Morimoto on Main Street. Named after Iron Chef winner Masaharu Morimoto, he seamlessly blends Japanese ingredients with a Western style. The result is some of the best Japanese food in Napa. Reservations are recommended for this incredible place. It’s not difficult to find a table but if you have a time constraint, it’s better to be safe than rushed. 4. Some days the only thing that we crave is a great steak. For the best steaks in town, get a table at Cole’s Chop House. This “Classic American Steak House” embodies everything that you can think of when you are looking for a piece of well cooked beef. They also have veal, lamb, and seafood on their extensive menu as well. While you are there, be sure to save room for one of their amazing desserts. 5. If you are looking for a twist on something familiar, out of all of the downtown Napa restaurants, Celadon does it the best. Their menu changes seasonally so if you see something you like, you better order it! They have something for everyone there with their smaller plates, perfect for ordering a few and sharing, as well as their entrees. Be sure to start off your night with one of their signature cocktails. 6. Dubbed a “locals favorite”, Ristorante Allegría perfectly marries the flair of California with the humbleness of Italian rustic cooking. When you peruse their appetizing menu, you will see that you can order items in courses to make up a very satisfying meal. If the weather is nice, be sure to eat outdoors, the views are fantastic. 7. What sets La Toque apart from other downtown Napa restaurants, besides its Michelin Star, is that the chef has developed a great relationship with local farmers to get the best pick of their seasonal produce. This means that the ever evolving seasonal menu will always feature the best ingredients available. The menu features classic favorites with a delicious twist to them, a restaurant that should not be over looked. 8. Angéle Restaurant in Napa is one of the only establishments that promises rustic French cooking. The building they are located in, Hatt Building, is a beautiful historic building that helps convey the French charm that embodies this delightful eatery. If the weather is nice, be sure to eat outside on their gorgeous patio. Also be sure to have one of their delightful handcrafted cocktails. 9. Looking for a meal with a view? 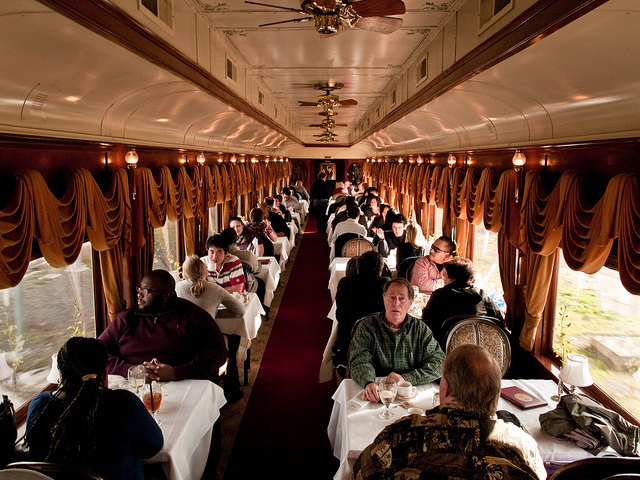 Look no further than Napa’s Wine Train. When you board the train, you will be enveloped in an old world luxury that is unlike any other. They have a few packages to choose from, which will determine which car you ride in as well as what you will eat. 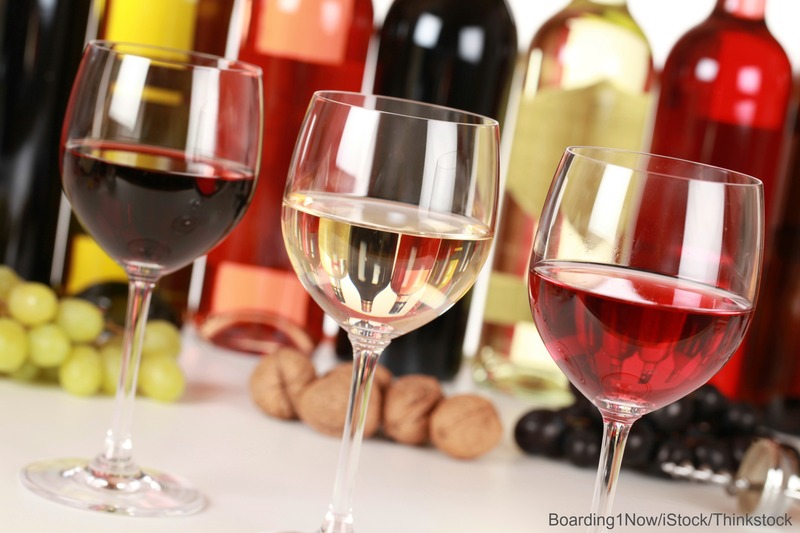 You can choose from the Vista Dome Dinner Package, Gourmet Dinner Package, and the Vintner Series. Be sure to check out their site for prices and reservations. 10. There are some days where you are hungry but you aren’t sure what you want to eat. That is when you grab your friends and head to the Oxbow Public Market. They have multiple restaurants and eateries inside that the only problem will be which to choose first. If you decide to cook, they have a fantastic market there offering the freshest ingredients in the area. This wonderful area is open 7 days a week for your convenience. As you can see, visiting and living in Napa does afford us some of the best food and wine around. 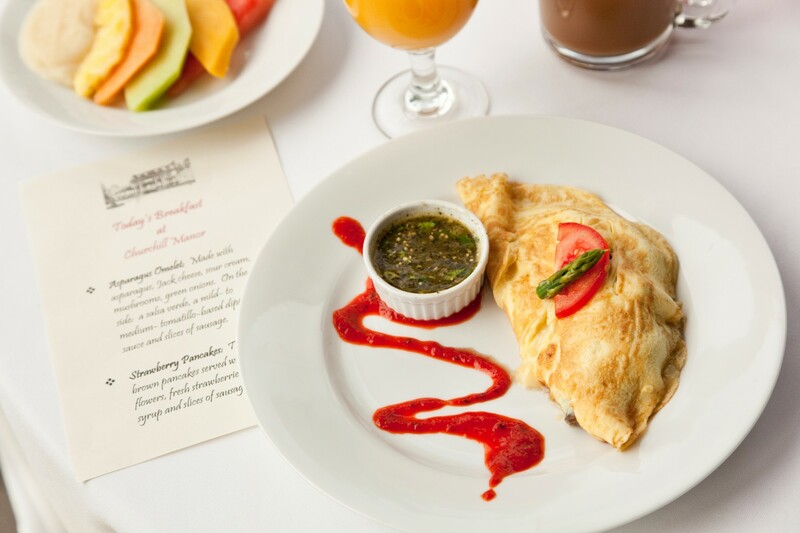 When visitors come to our delightful restaurants, they enjoy staying with us at Churchill Manor since we are in such close walking distance to all of these downtown Napa restaurants. Spending some time here in Napa is a food lovers dream. 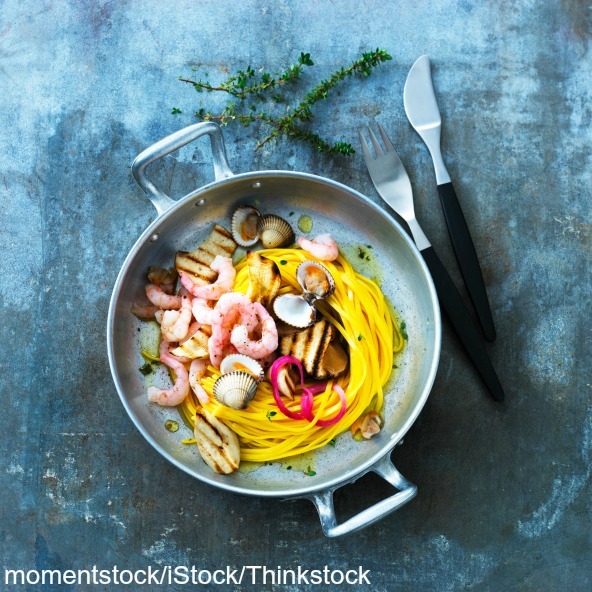 Ready to plan a food adventure? Contact our fantastic staff today to book your trip to see us!